Nothing it all goes into the SPFL pot. We get the exposure on TV. Sure I read when the deal was announced that it goes into the main pot and the premiership teams actually earn more from the deal than the championship clubs. From memory the championship clubs get about £5000 or £6000 extra for the season. My memory could be way off, but I will try and find the article. Works out at something like an extra £8,000 per club in the Championship IIRC. That will cover OFWs wage for a few weeks. I remember I once agreed with Dougal and Charles Bannerman in the same evening. Had to lie down for a couple of hours to recover. Any attendance figures out for last night's match? Yes I read it on the report. Effervescent. 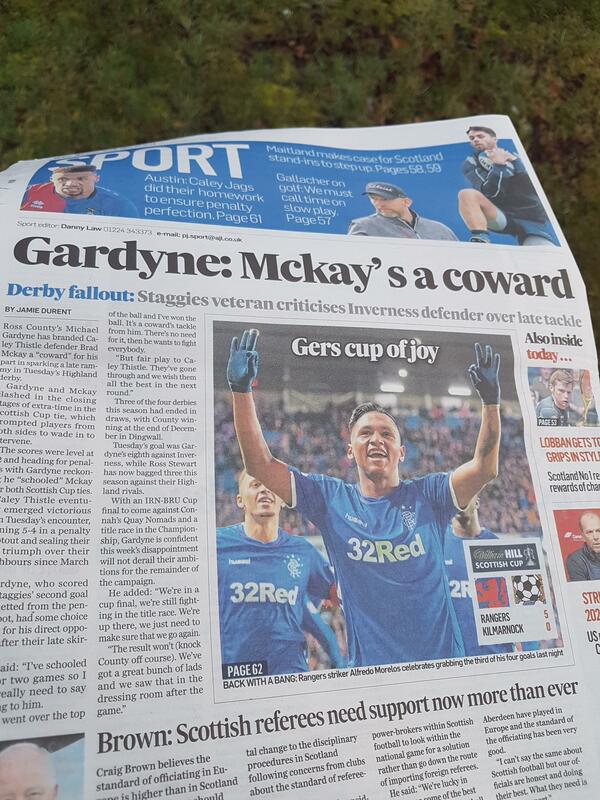 Gardyne. Lol. Gypo gimp. Past his best, but looked ok on Monday night. I see Danny Macdonald was with JR running the rule over County against East Fife. Is he now involved with the first team? Saw this on the back of the P&J this morning, couldn't help but laugh. All these flavours and County continue to be salty. The games are scheduled to be played at 7.05 pm cos the new BBC Scotland channel news starts at 9pm . Thats the only reason. Its not ideal for the clubs especially if you take into consideration the possibility of hospitality sales. I m afraid the clubs had no say in this and the kick off times were only told to us at a meeting with the BBC a couple of weeks ago. Personally I think they could move the news one night a week to 9.30 start. Whats the harm? From recollection there will be 26 games per year and we should have 2 home games televised.